The evolution presented for the two models Victory R and V2 R is reaching high evolution and refinement level, never obtained before. Under the technical profile, the bare frame geometries of Victory R and V2 R remain unchanged and are realized with Molybdenum Chrome tubes, Ø 30mm (Victory) and Ø 32mm (V2) respectively. Interesting technical innovations concern the componentry, evolved and developed thanks to the Research and Development department of the OTK Kart Group. The FA chassis, winning karts even in the 2018 season, with the Victory of the 2018 European Championship, are further developing. Victory R and V2 R present many interesting innovations, especially regarding the components, such as the new HGS high grip steering wheel with inclined steering boss hub, the integrated floor plate and the new M7 nassau panel, supplied as standard on these models. Both chassis remain faithful to the winning philosophy that made them famous and play on the top principles of FA Kart production, such as: very high quality materials and technologically advanced processes. The braking system equipping the direct-drive chassis, of both models, is the BSD. A system with excellent technical characteristics thanks to the one-piece forged brake caliper in which two 34,5 mm Ø pistons work, with stroke recovery and brake pipes developed for the use of DOT 5.1 oil. 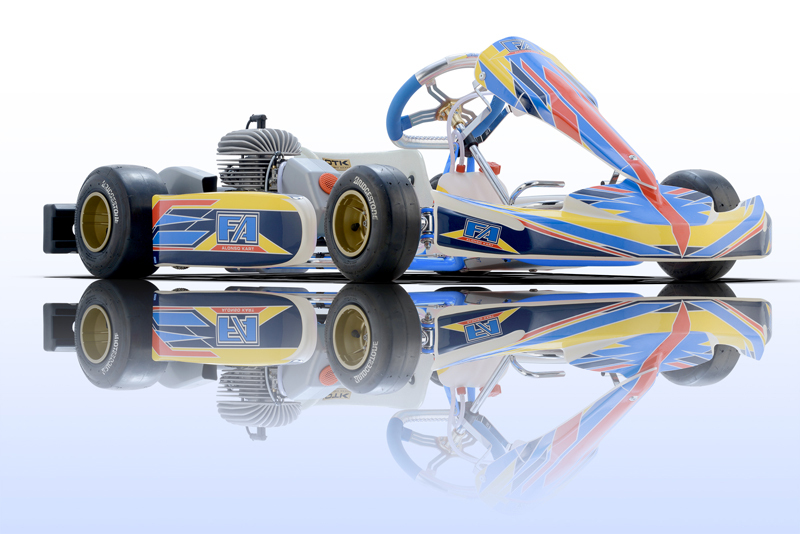 The aerodynamic development achieved with a careful study carried out by the technicians of the Research and Development Department of the OTK Kart Group is very important. The height of this work is the M7 nassau panel, whose shapes are characterized by a unique design, clearly showing revolutionary solutions for karting. The M7 nassau panel was designed along with the integrated floor plate, a special type of floor plate whose configuration completely seals the frame frontal areal, considerably improving the aerodynamic output, especially on high speed tracks. The whole work of the R&D department of the OTK Kart Group brought innovations also on components, such as the steering wheel, giving birth to the HSG project. This special steering wheel is provided with a special high grip rubber; materials and shapes are coupled in order to improve the grip during the binding race stages. The inclined steering boss hub is provided along with the new steering wheel, which allows further adjustment and a better driving position. As far as the shifter categories are concerned, on the Victory 401 R and V2 R models the braking system is the BSS, characterized by one-piece front calipers with 4 22 mm Ø pistons. The specifications of BSS braking system make braking powerful in all conditions and adjustable. The 2019 season will be the stage of a significantly evolved version of the model for the Mini category, the Rookie EV. 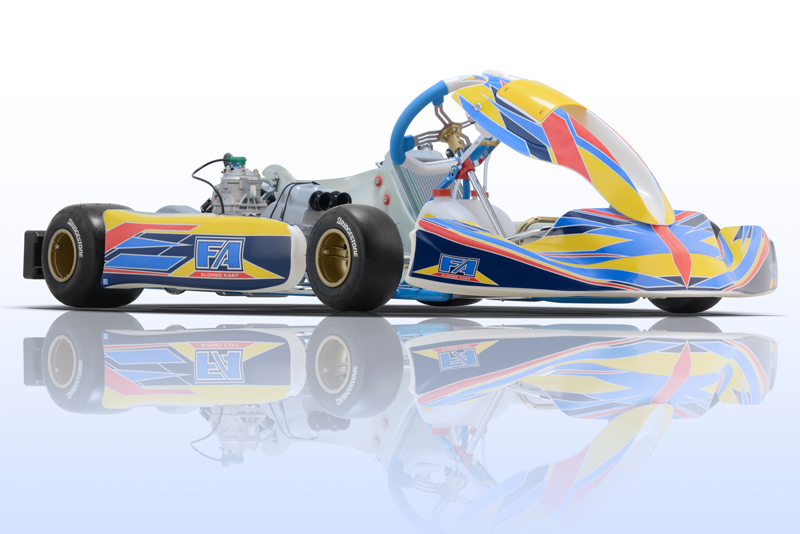 The R&D Department of the OTK Kart Group mainly focused on the new BSM4 braking system and the bare frames geometries. The precise aim was to produce a model that would effectively adapt to the many different conditions on the track. The technology leading to the creation of the new Mini braking system, called BSM4, is resulting from the studies concerning the braking system for the top-range models.